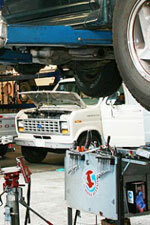 We rebuild transmission on-site and can install quality rebuilds, as an option. We use only the top quality parts, that will upgrade or improve the longevity of your transmission. If you are looking for excellent transmission service or repair give Santa Rosa Transmission and Car Care or click here.